DAVID LE/Staff Photo. 2/13/15. 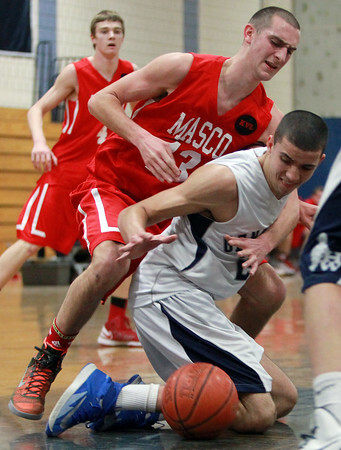 Hamilton-Wenham sophomore Max Zegarowski, right, hits the floor to grab a loose ball away from Masco senior Justin D'Orlando, left, during the first half of play.